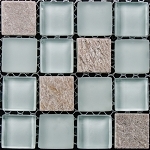 GS5007: Glass & Stone Mosaic is a square tile made of smaller, square glass and stone tiles in a combination of matte and slightly shiny finish. 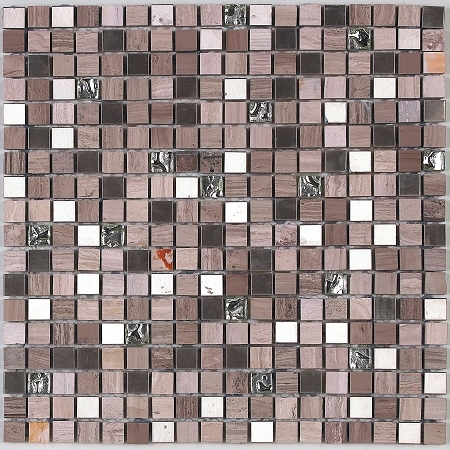 It comes in shades of charcoal, beige, burnt sienna and brick red with some horizontal striping pattern. 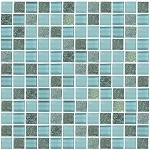 GS5007: Glass & Stone Mosaic is generally subdued in color but the variations in shades make it a good decorative tile. 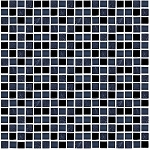 The texture and design hides imperfections and blemishes really well. 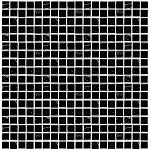 GS5007: Glass & Stone Mosaic is suited for both indoor and outdoor use, specifically in bathrooms, kitchens and patio walls and floors.